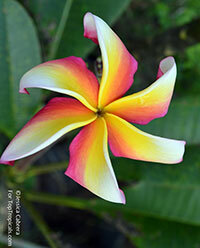 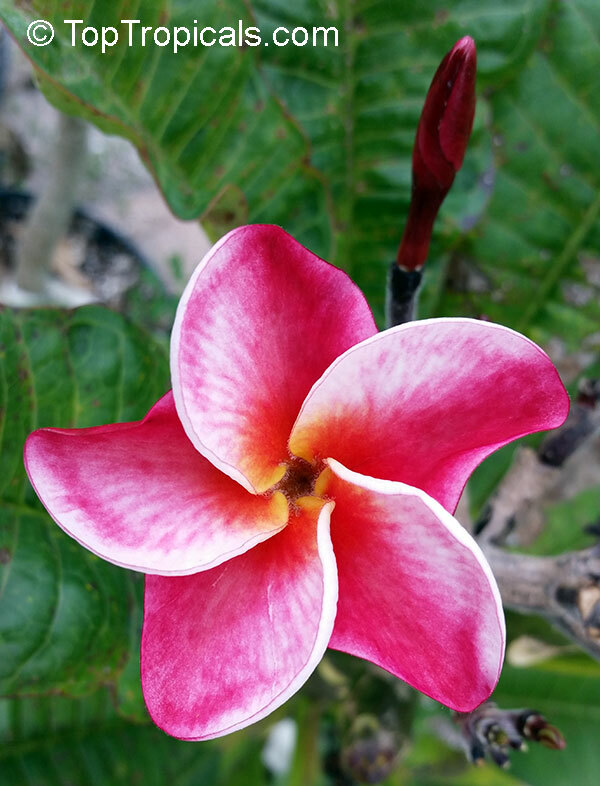 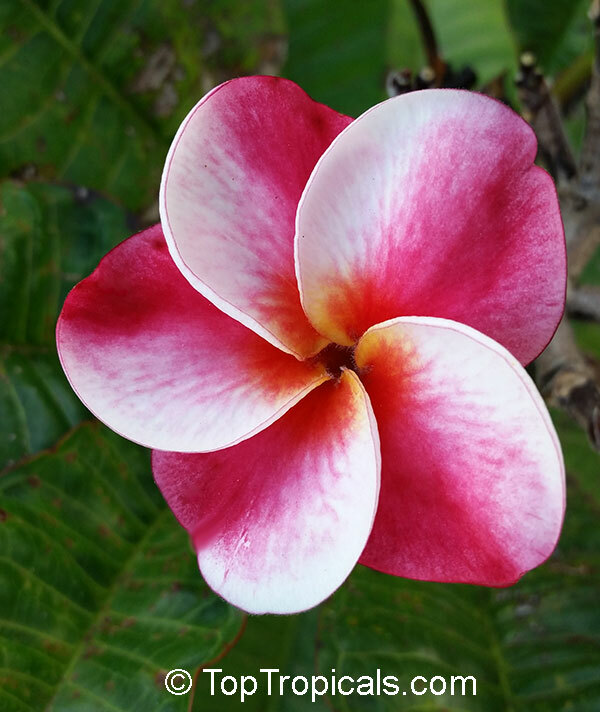 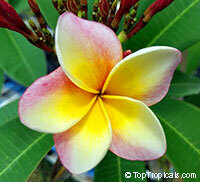 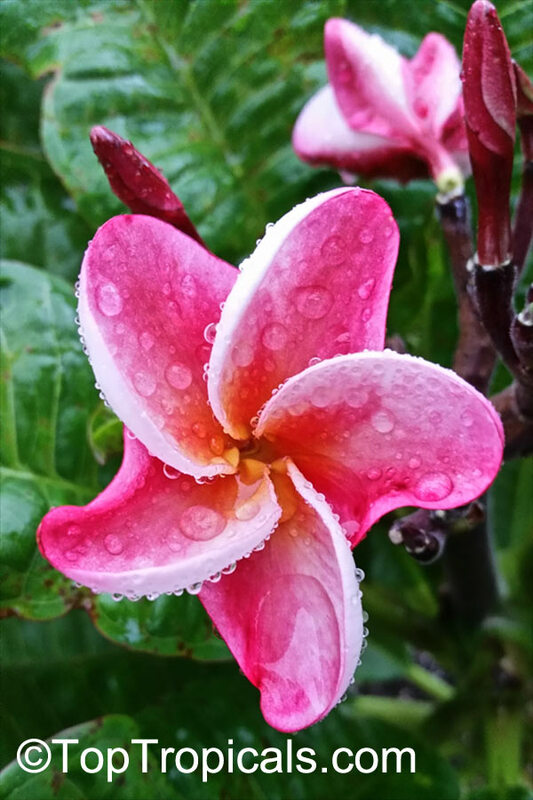 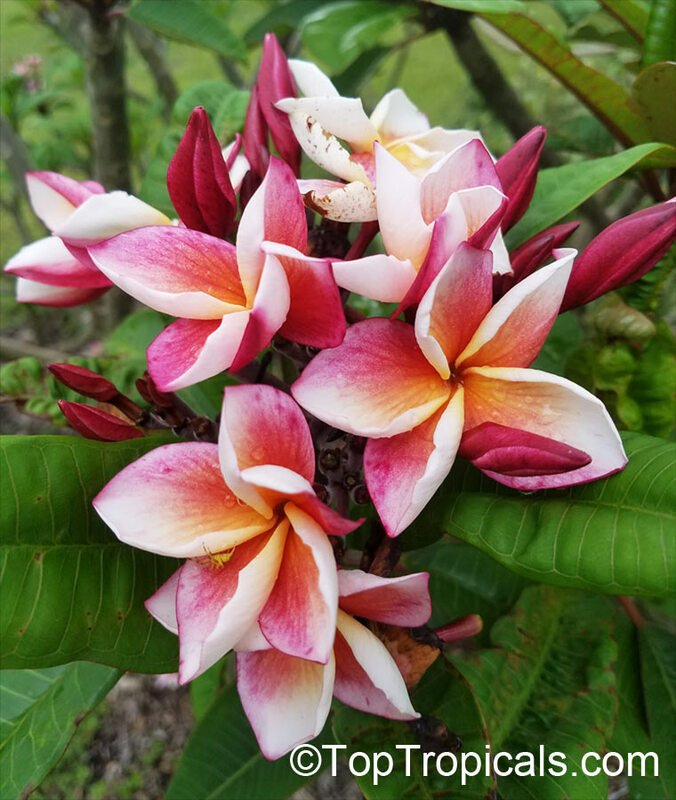 Plumeria commemorates Charles Plumier, a seventeenth-century French botanist who described several tropical species. 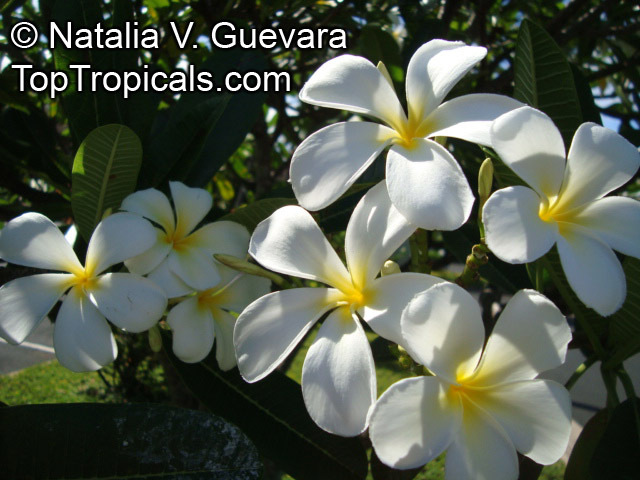 The genus contains 8 species of mainly deciduous shrubs and trees, originally from Central America, known for their strongly fragrant flowers. 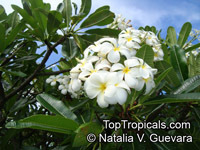 The tree can reach a height of 9m, though they are generally much smaller. 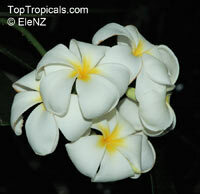 Their fleshy branches contain a poisonous, milk sap. 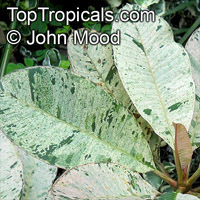 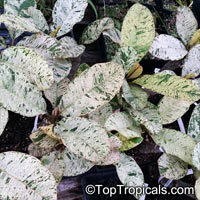 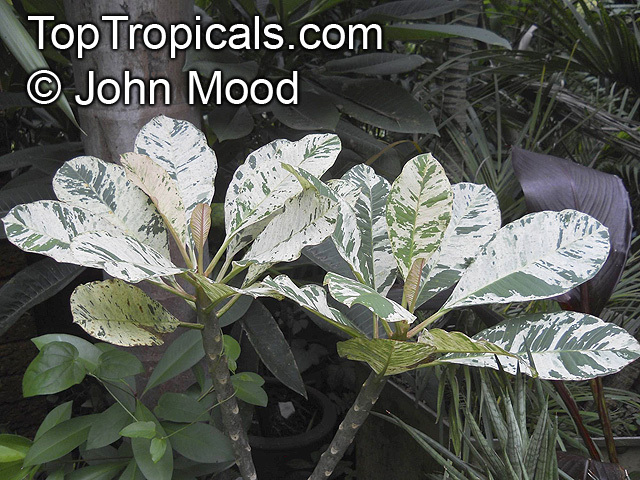 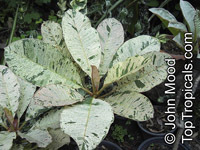 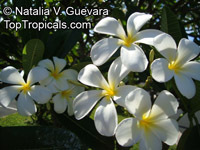 In the tropics, the terminally held flowers (generally white) appear before the leaves and continue to flower for most of the year. 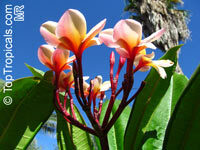 In subtropical climates the flowers appear in spring, after the leaves, and continue growing until the next winter. The fruit consist of 2 leathery follicles, althought the trees rarely fruit in cultivation. 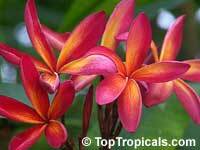 Most plumerias in gardens are hybrids.Although Plumerias are about as easy to grow as they come, the one thing they donпїЅt particularly like is to be overwatered. 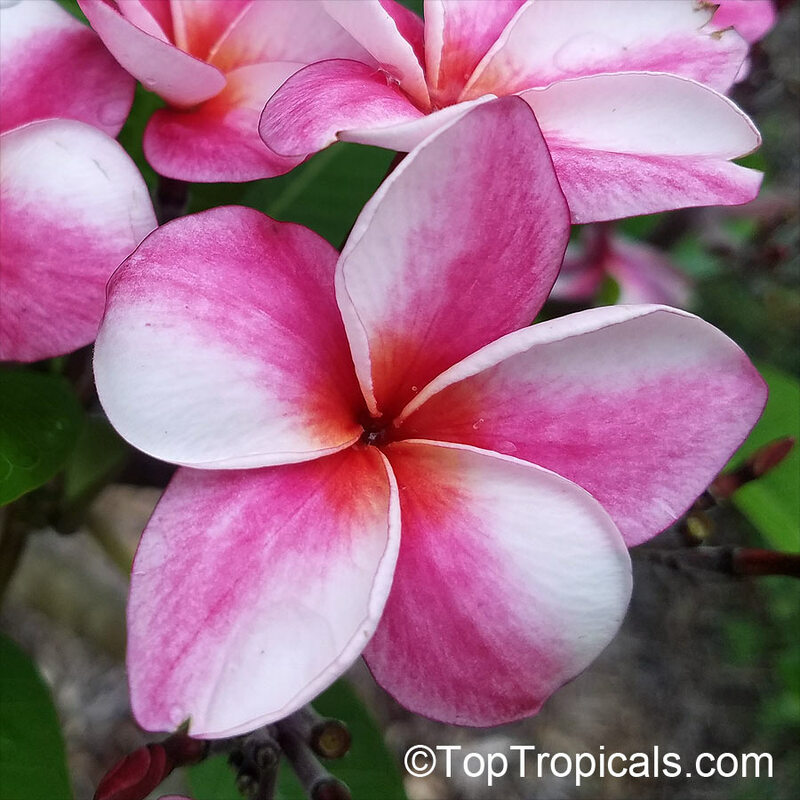 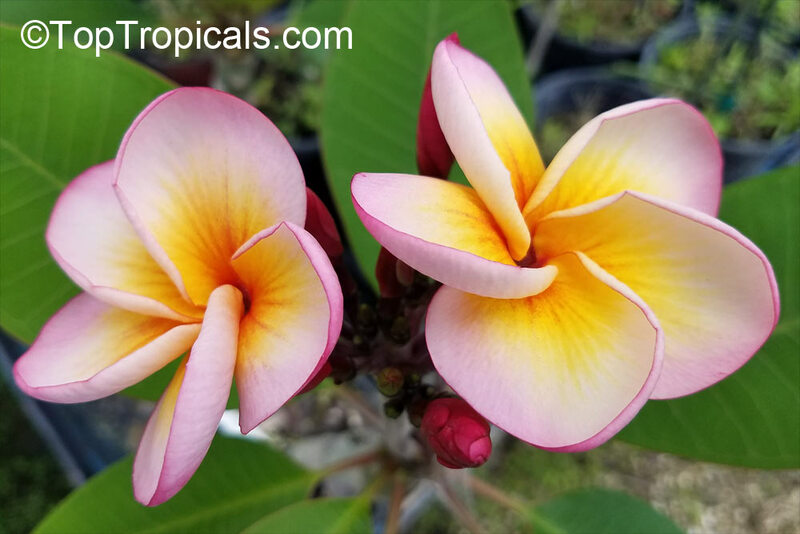 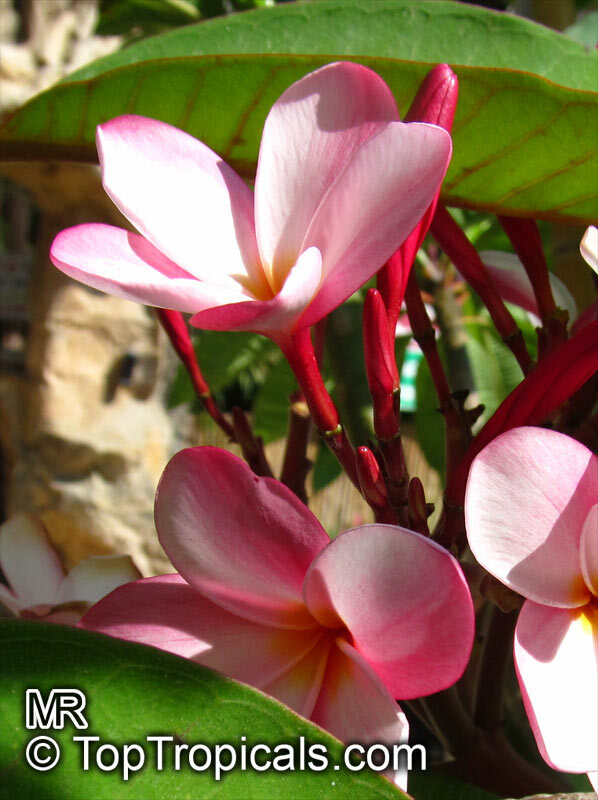 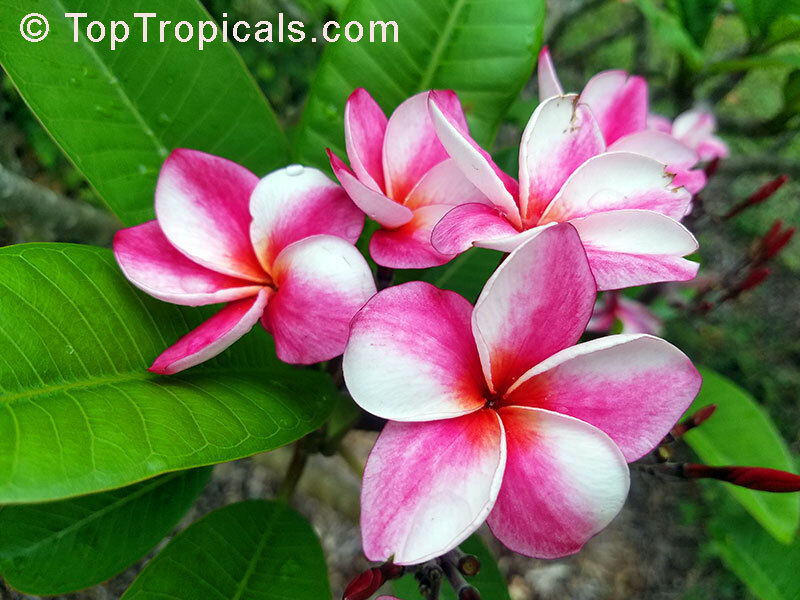 Your Plumeria comes in a specially designed soil which allows for excellent drainage, so any soil mix you purchase should do likewise. 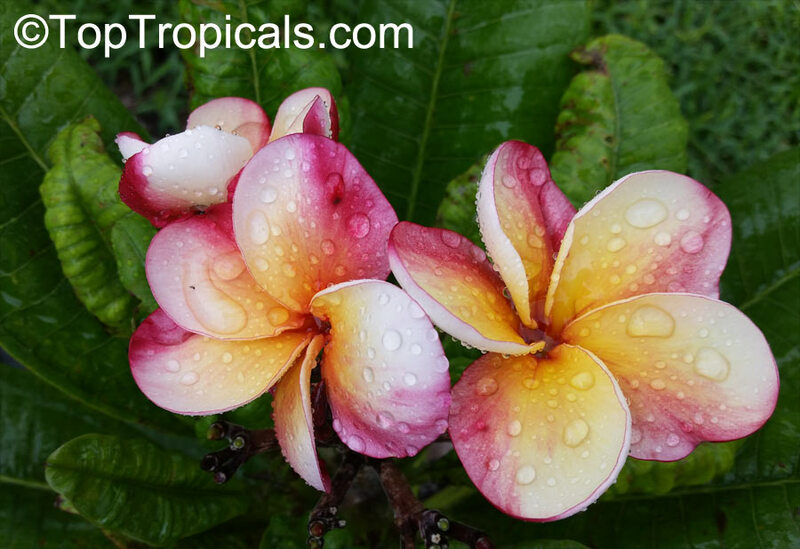 Water approximately once a week, or when you can see the soil is light, i.e., dry. 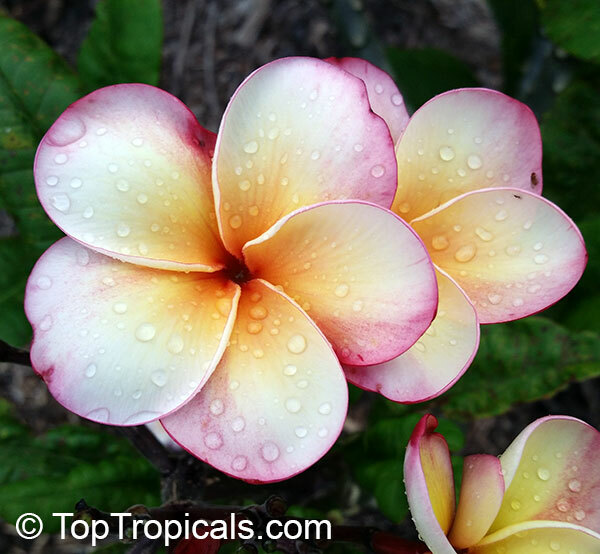 Soak thoroughly so that water is running out the bottom drain holes. 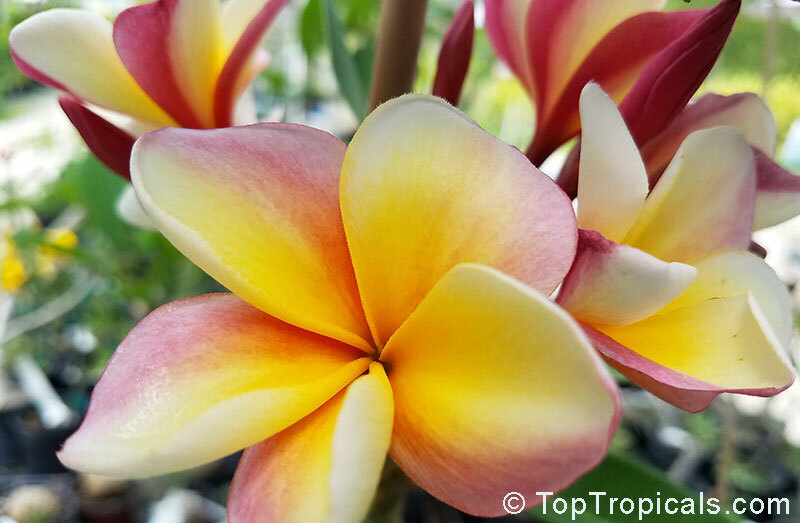 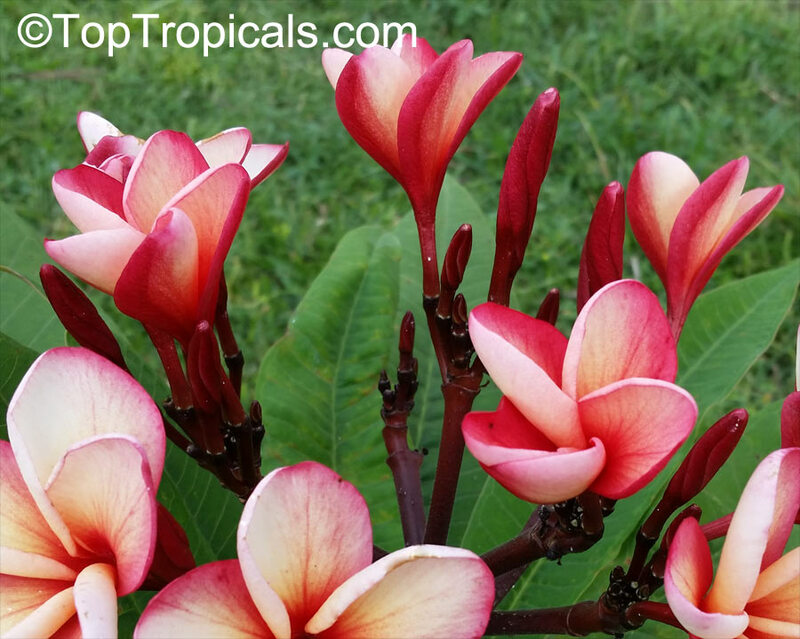 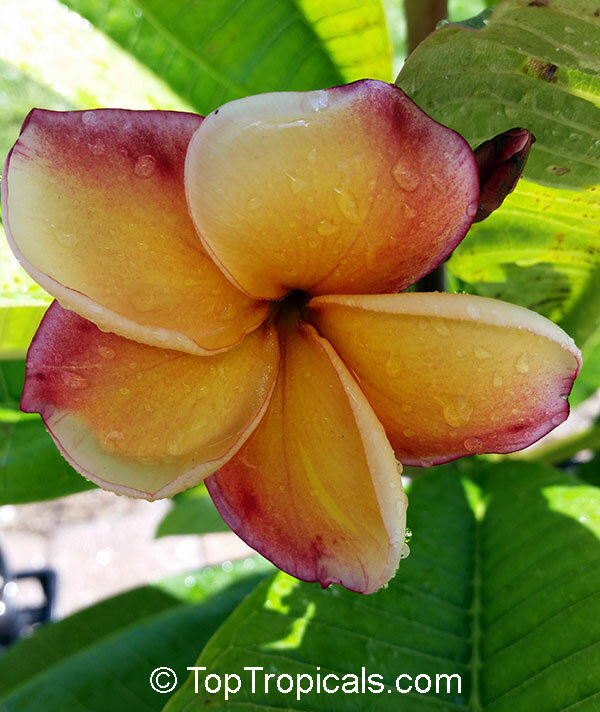 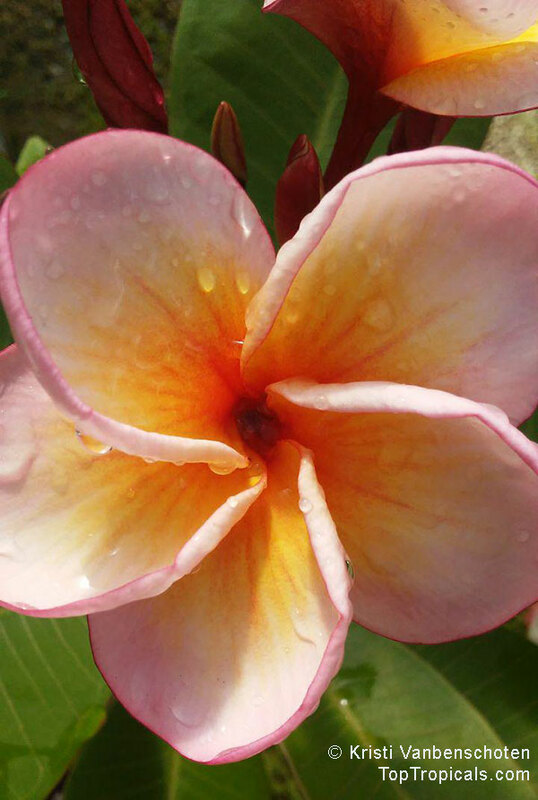 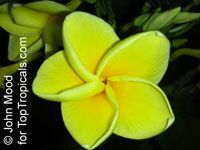 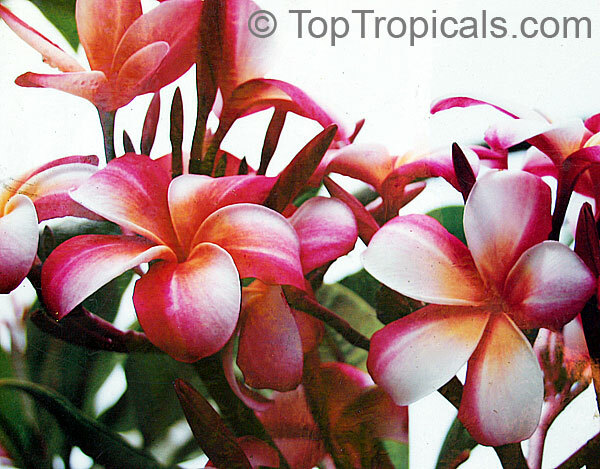 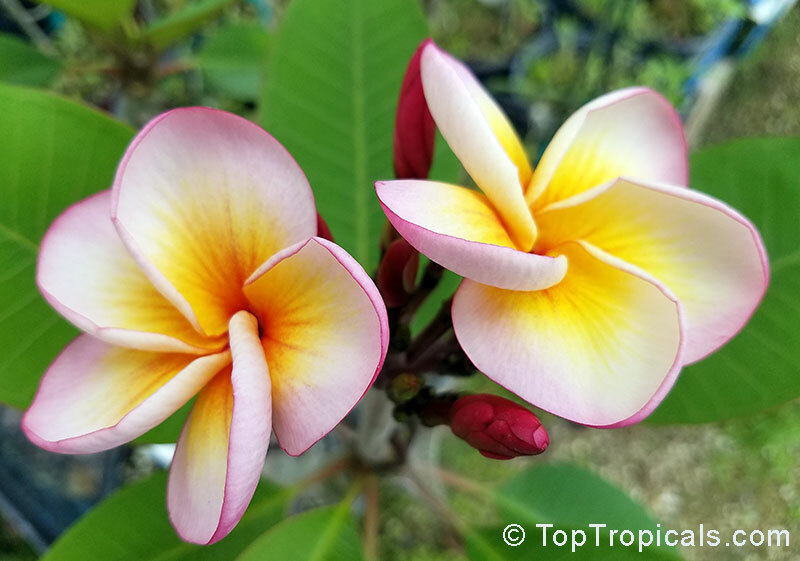 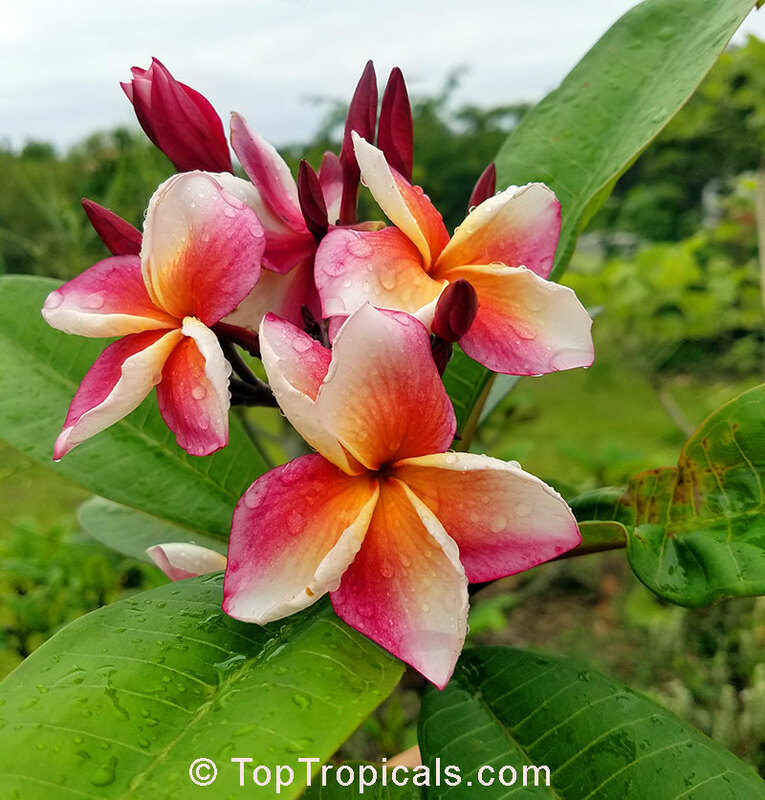 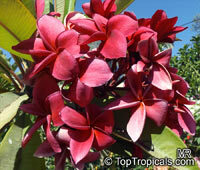 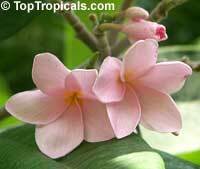 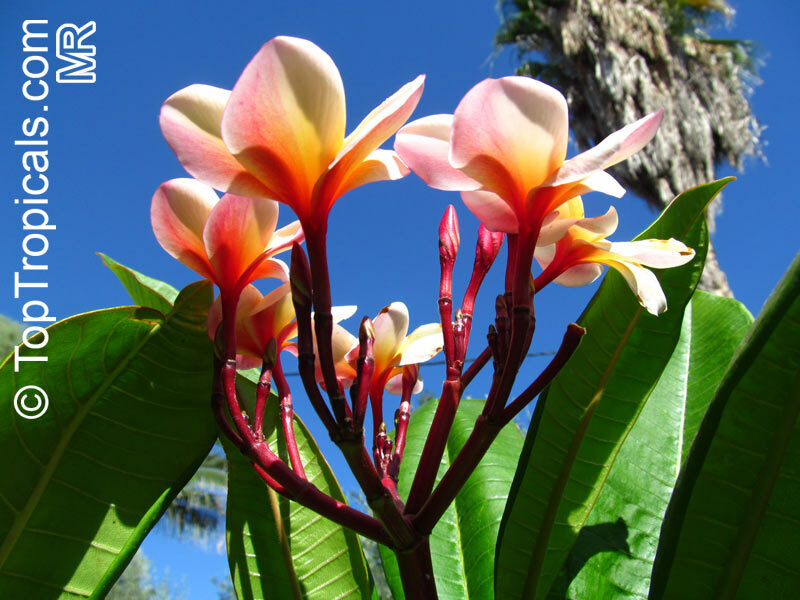 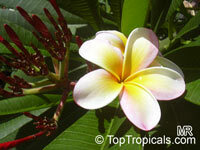 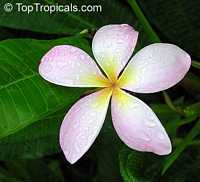 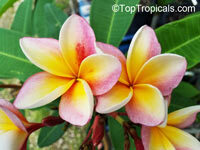 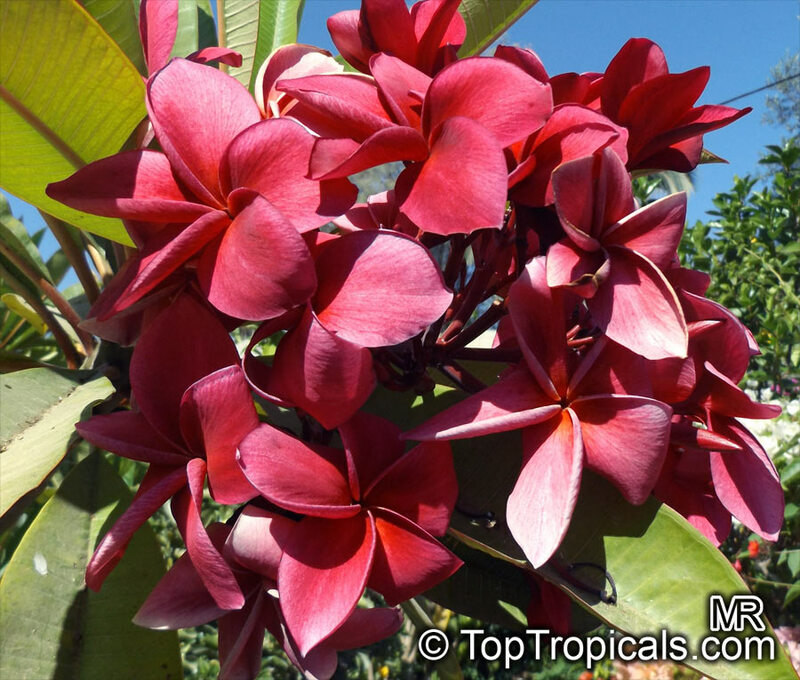 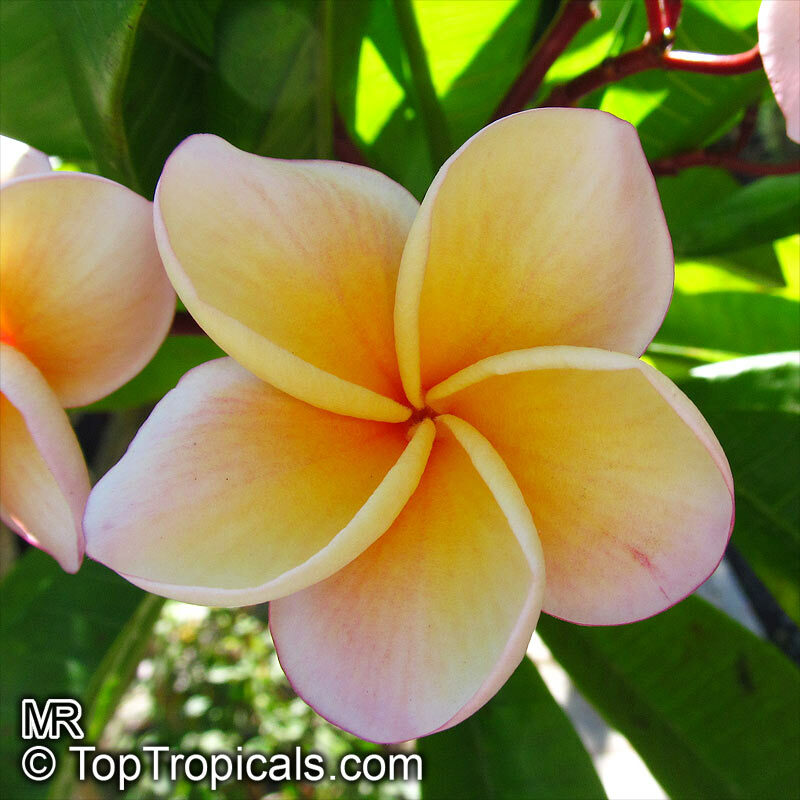 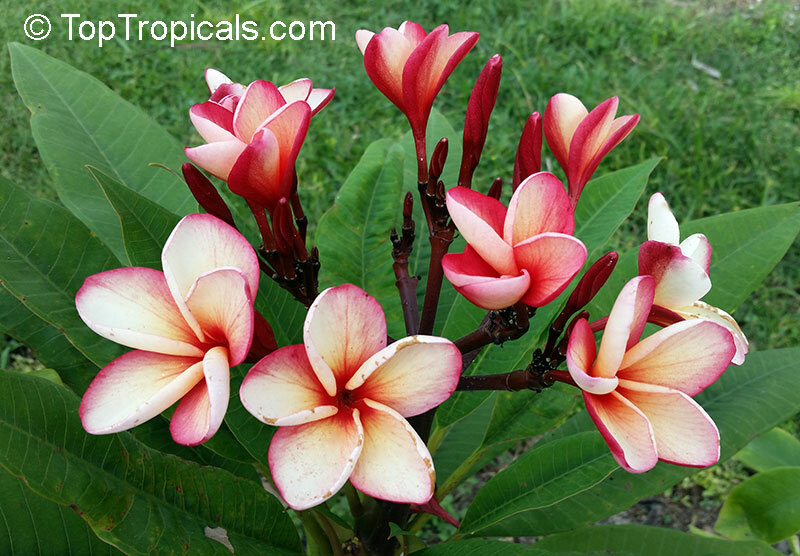 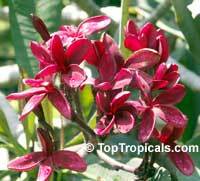 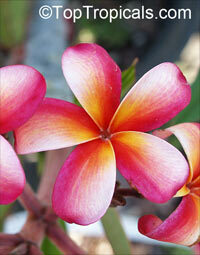 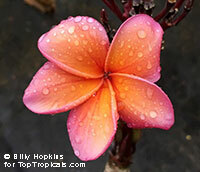 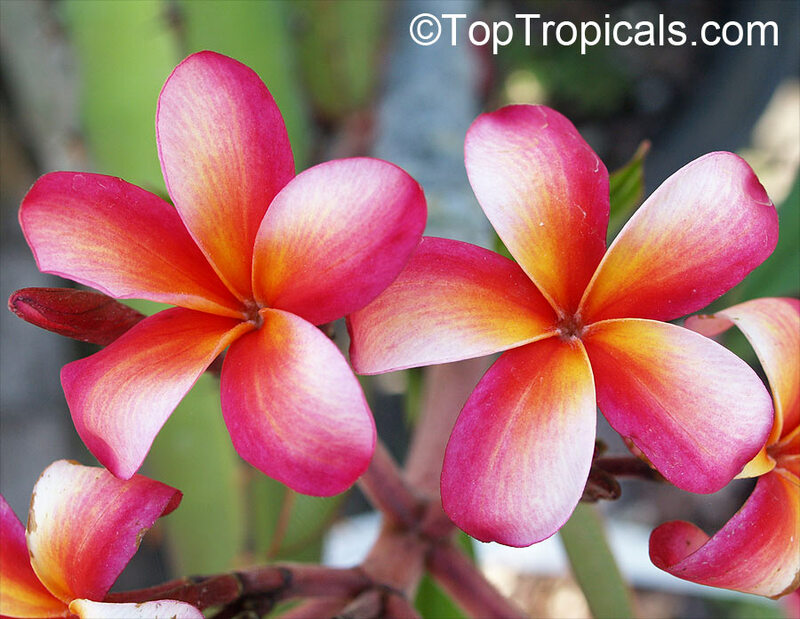 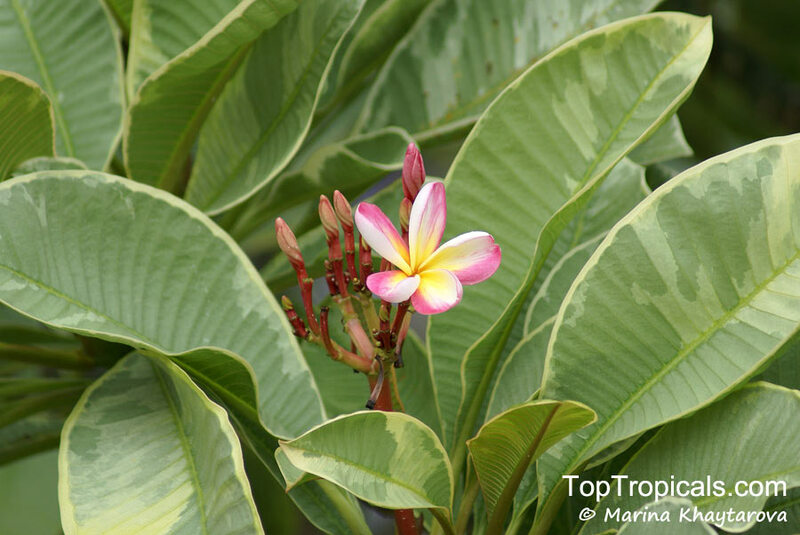 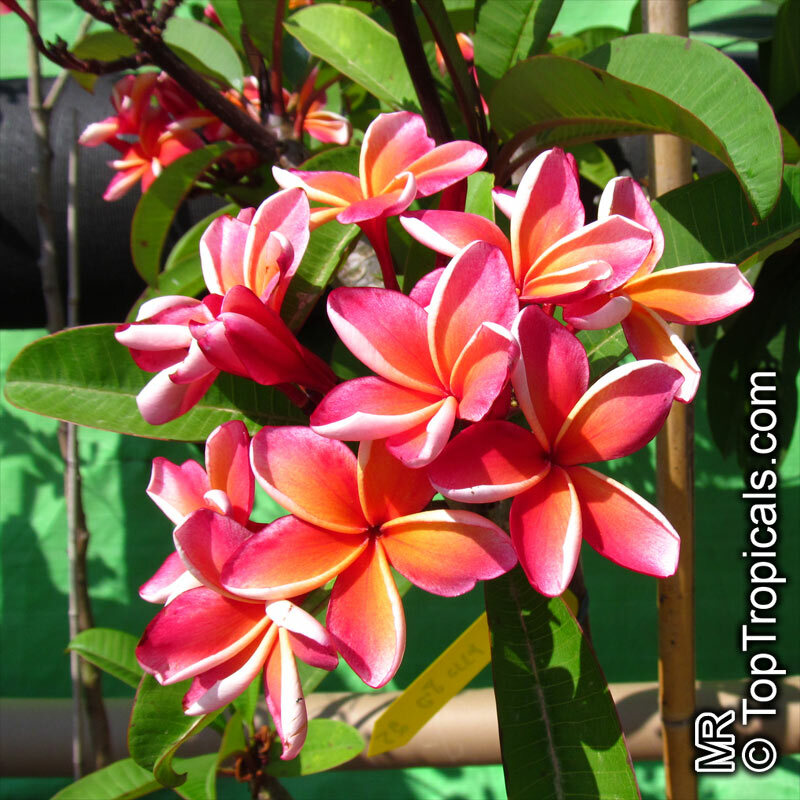 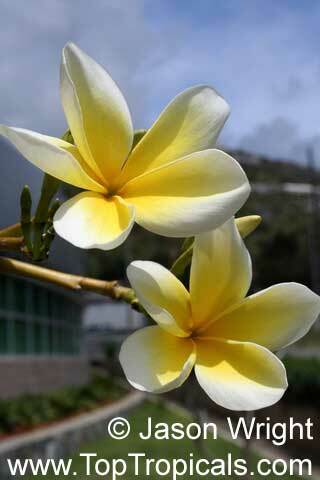 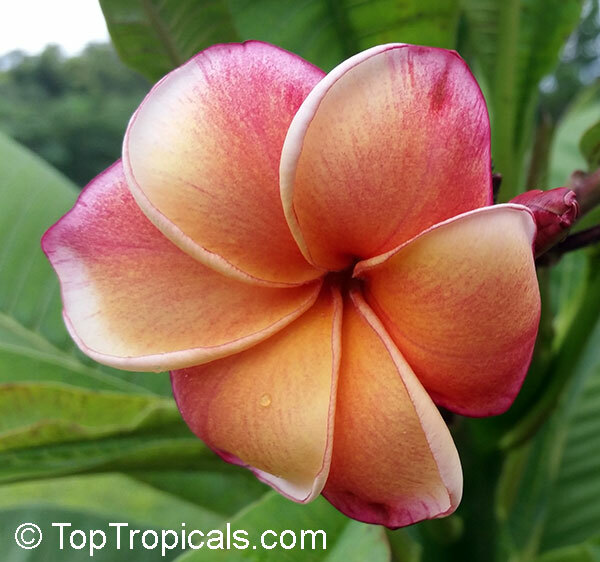 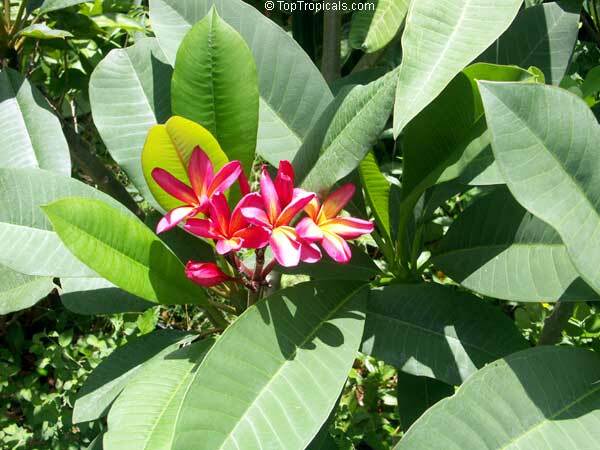 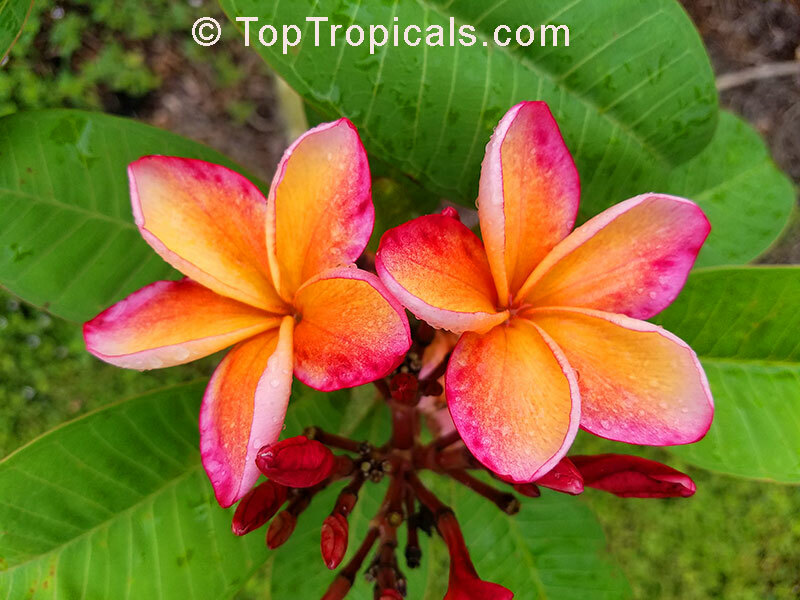 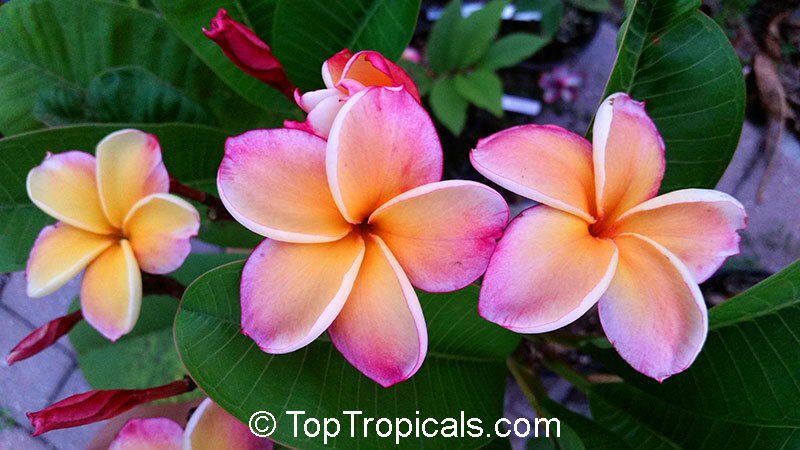 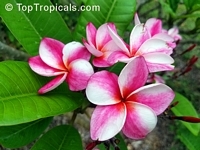 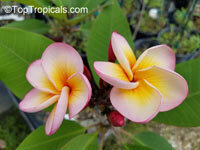 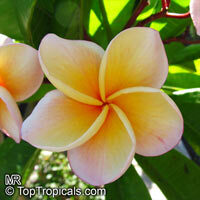 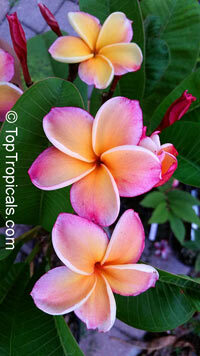 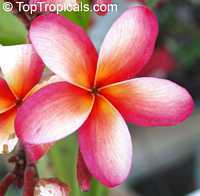 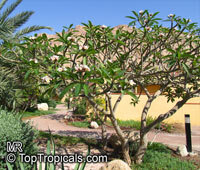 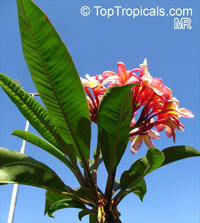 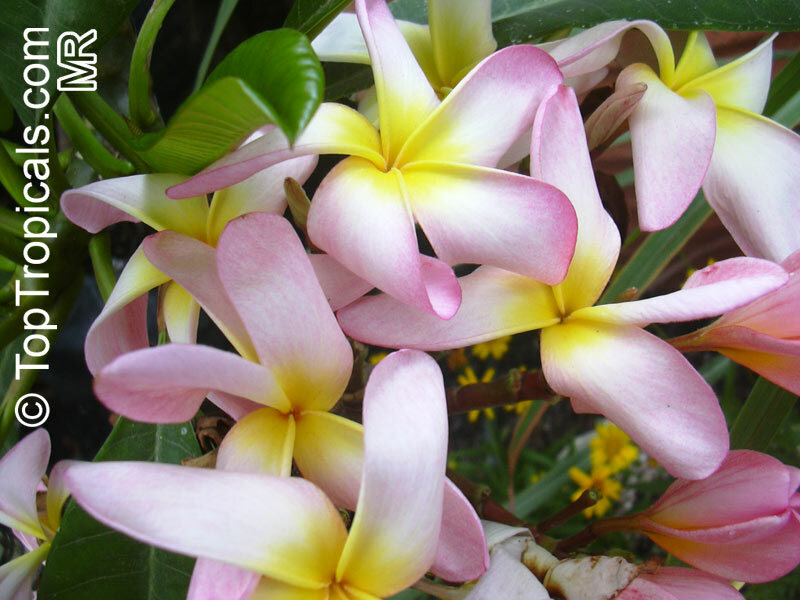 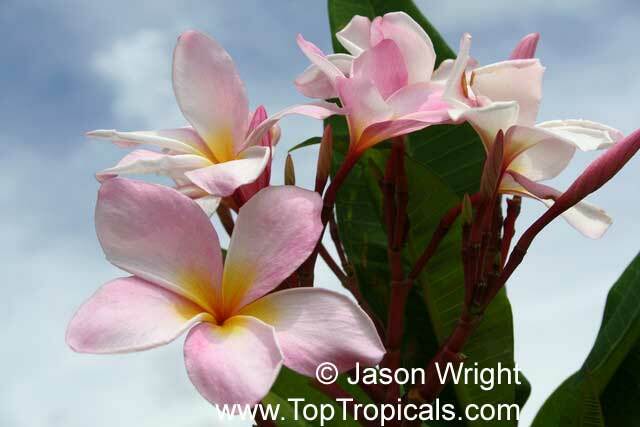 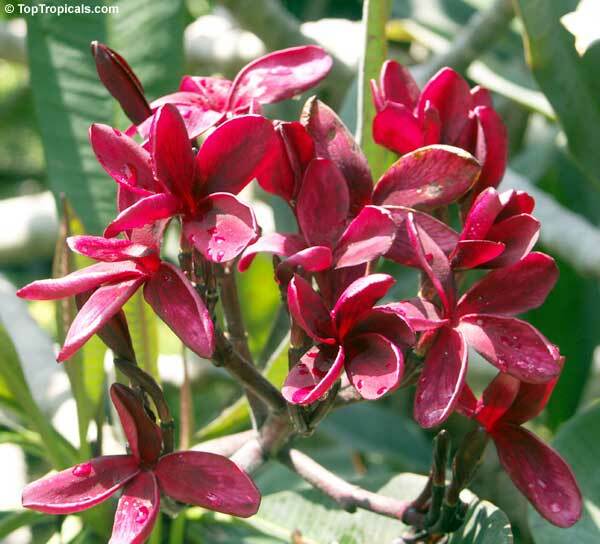 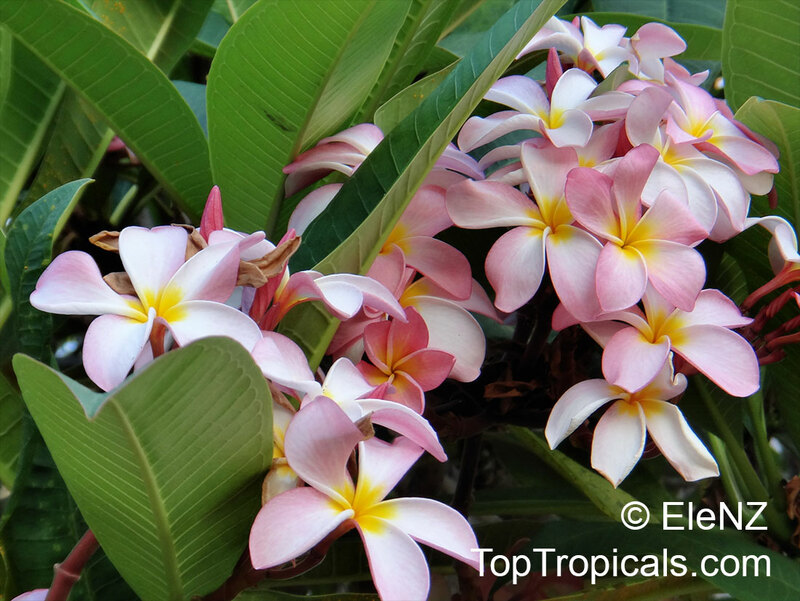 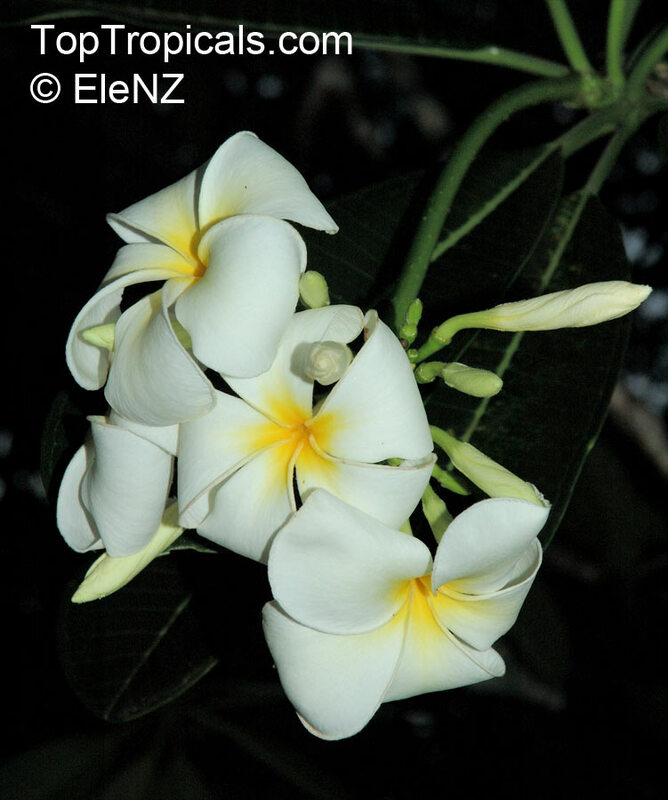 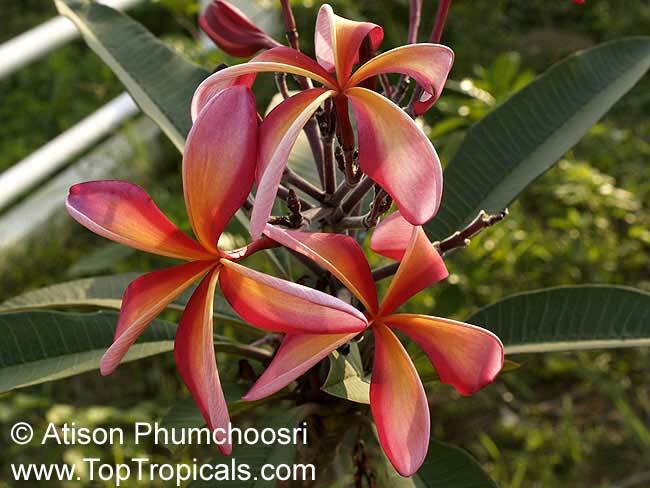 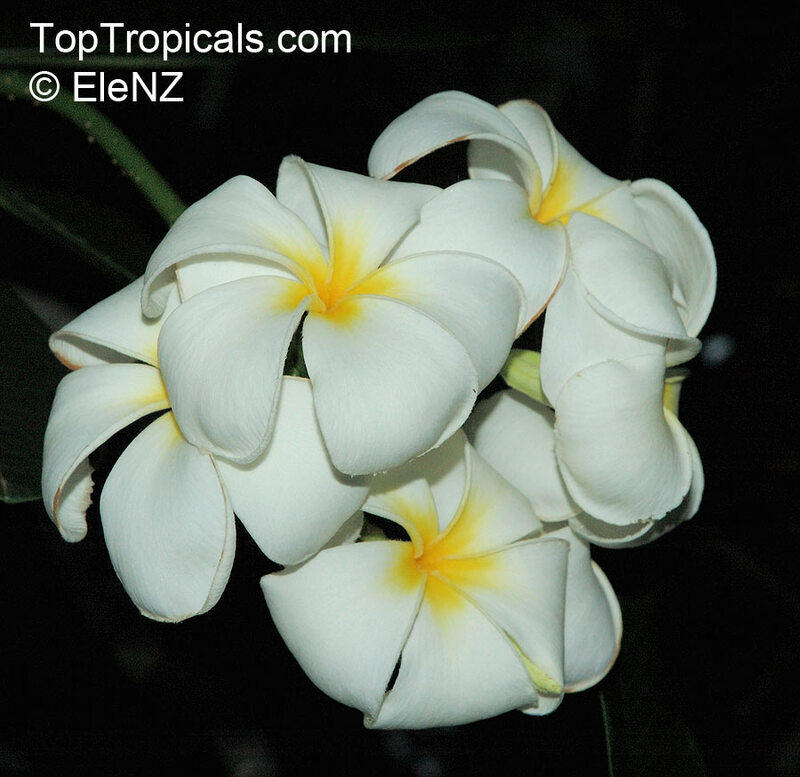 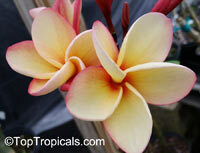 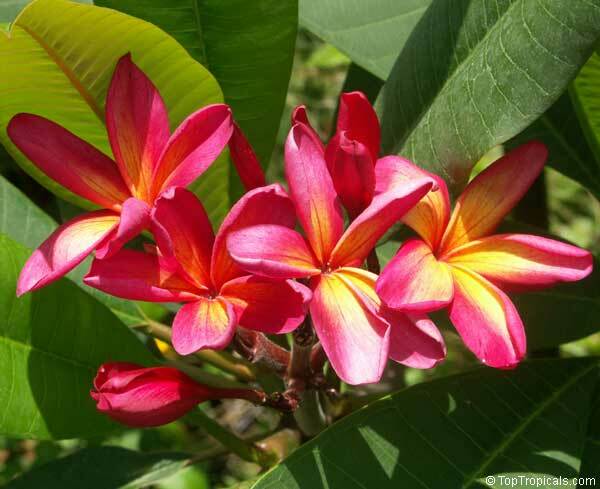 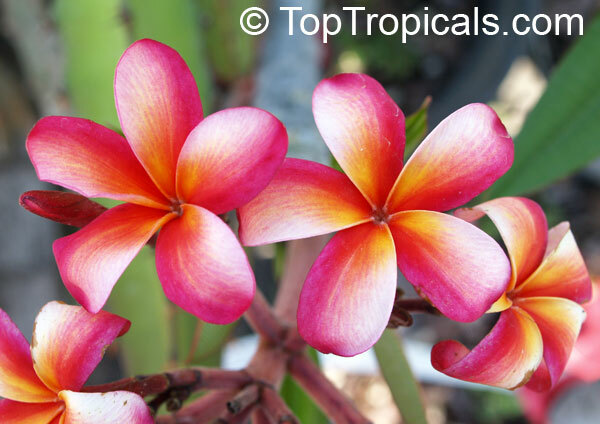 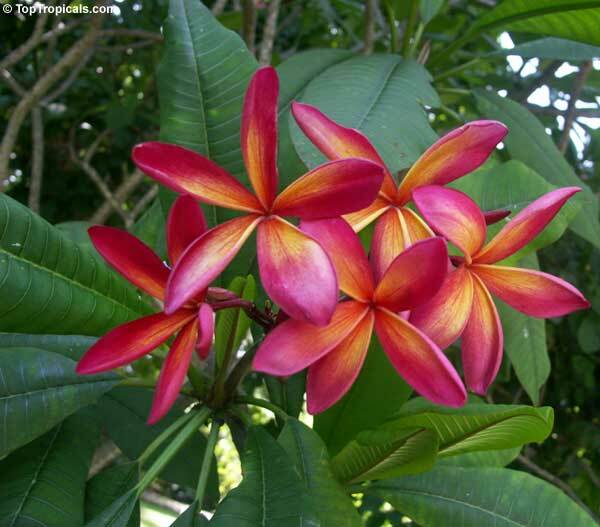 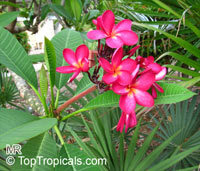 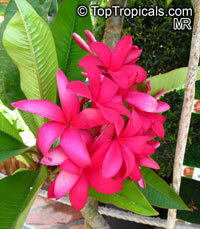 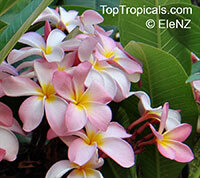 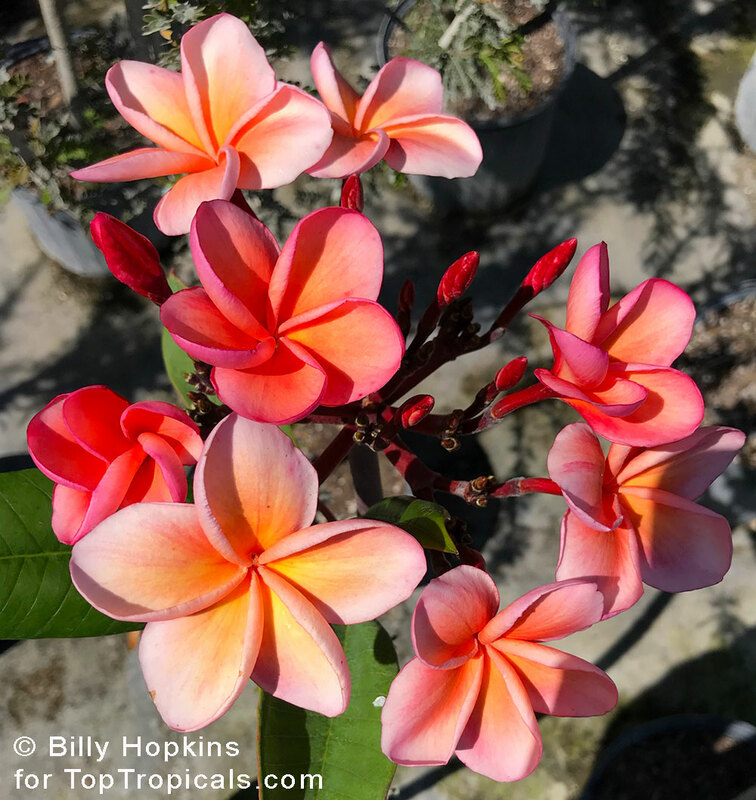 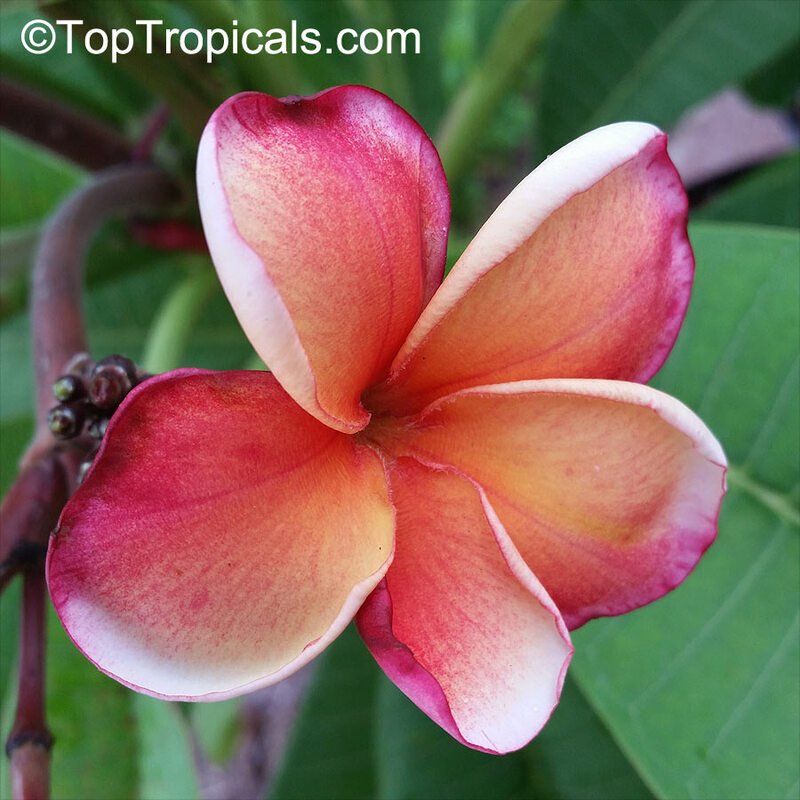 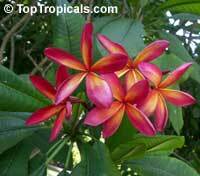 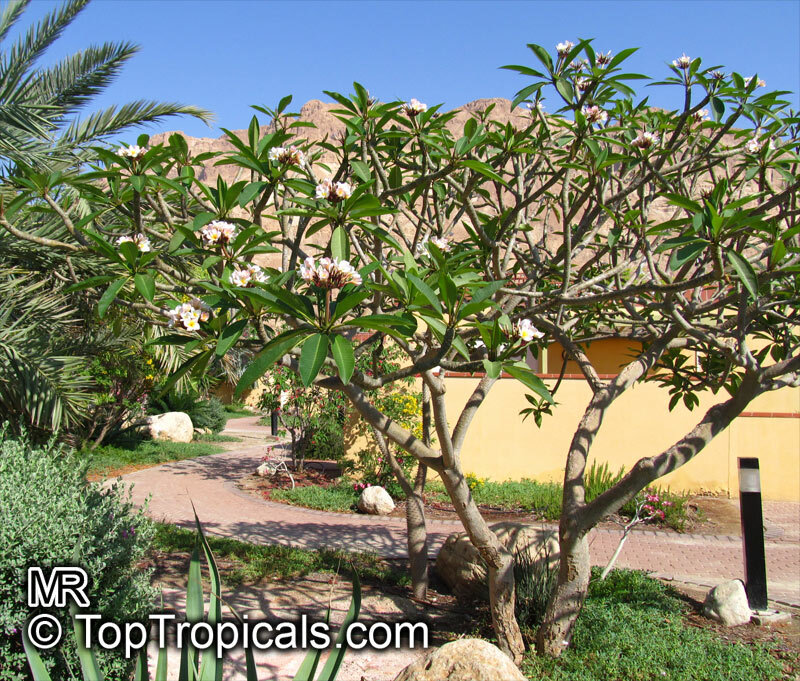 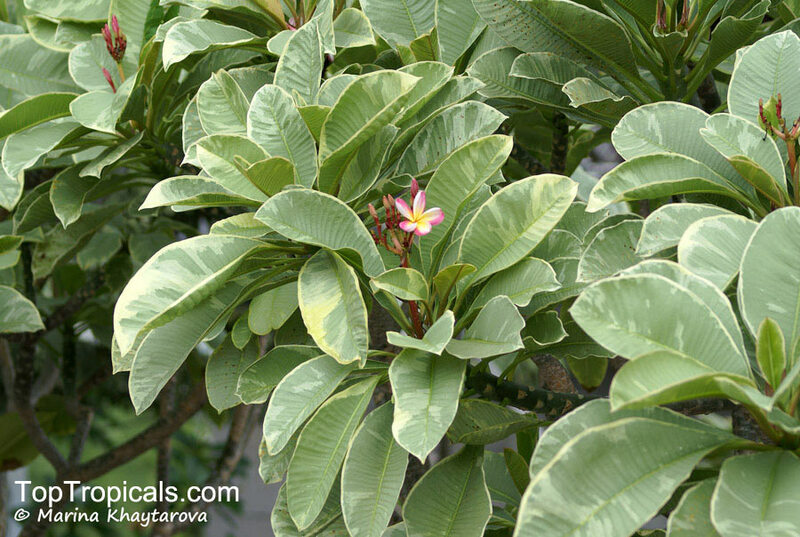 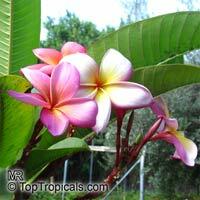 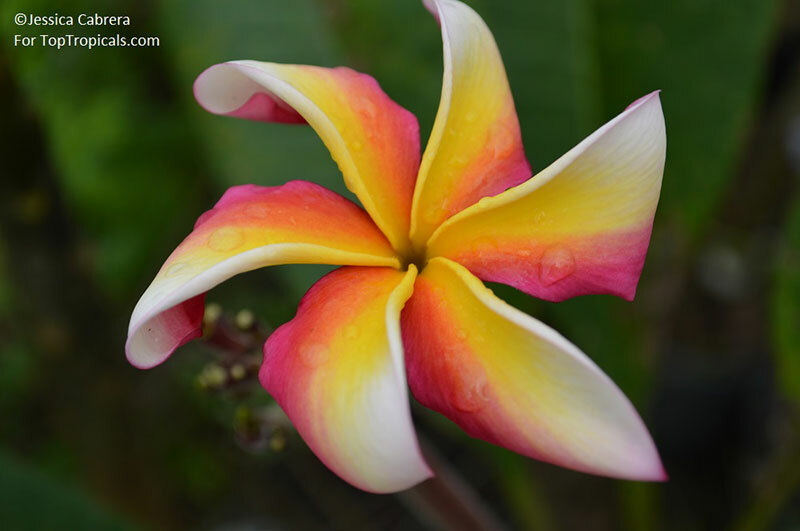 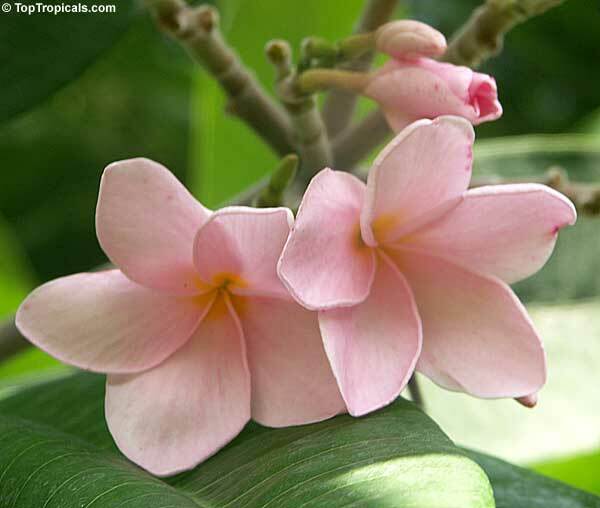 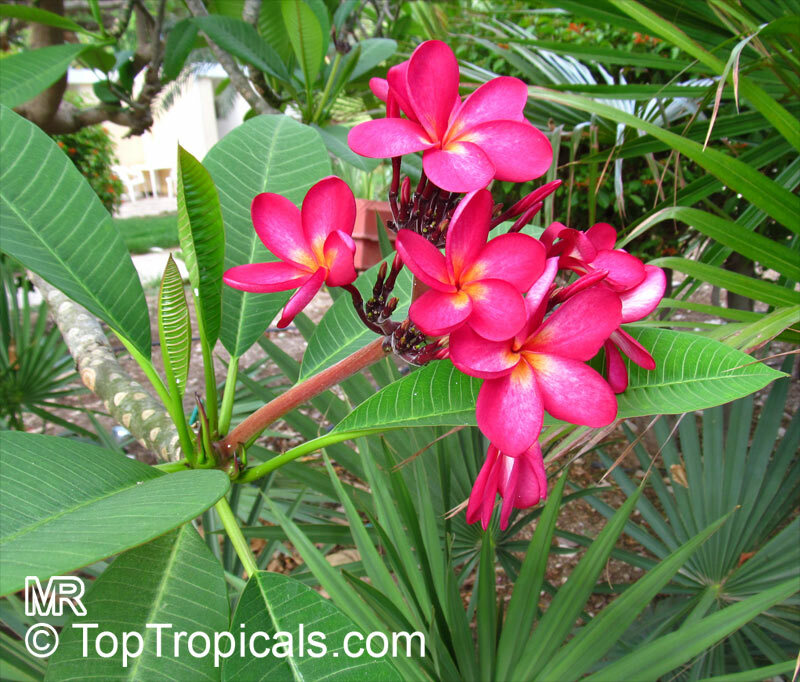 If you miss a watering, not to worry, Plumerias are incredibly tolerant of being dry. Plumerias are very salt tolerant.